We are here to promote a safe and inclusive riding environment for anyone that can throw their leg over a bike and pedal. We talk to you and find out what you want, then we actively get it. This is by way of activating advocacy, direct action, or by seeking the things you are after through participation in programs we seek that help us move the cycling community forward. We are all inclusive of any type of riding, it doesn't matter what type of bike you own or where you ride it; we call these Disciplines and we do this to stop the segregation of riding groups. We work with different groups to ensure a single and powerful voice is heard by government and media. We are working to ensure we represent 'you' the cyclist, family member and community person. Join the community and become an active member of cycle.org.au where your voice will be heard by our leaders, politicians and communities. We are actively seeking members NOW, so please visit our Membership area and choose the level that suits you. We have helped so many people, but we want to help more. Extended Family You are our type of person. Cycle is a great cycling news site, consultancy and advocacy. I get all my cycling news from there. 5/5 stars! Taken up 'proper' road cycling after getting lapped by roadies whilst out on the mtb. Along with getting the riding bug, I had also the interest in being more active with advocacy for safer riding for all. I have found Cycle to be one of the better groups with news, humour and also treating delicate topics with professionalism. Not the often used degrading of others that are ignorant. Hopefully one day soon when Australian politics looks past the motor centric policies that are currently in place. Cycle along with other well organized groups can hold their heads up proudly and be recognised for the hard work they do on our behalf. Why do I ride? Well, as a chef. I get to eat as much as I like (almost) As long as I'm hitting those kms! The Cycle.org.au alliance provides an important, unified and objective voice supporting the growth and normalisation of cycling in Australia. It provides balance and credibility to media discourse on cycling and the community in which cyclists live, and is regarded as a reliable and fair commentator on these issues. Cycle provides a platform for people across the country to contribute relevant material and have it reach a wide audience. They also provide advice and support to those that wish to get involved in engagement with governing authorities relating to cycling issues. Cycle is not media or advocacy, it is what you need it to be. The people behind the scenes have varied expertise and experience that make Cycle a unique and valuable tool for anyone who rides a bike (or wants to). In the midst of the hurricane of alternative facts, media bias, divisive arguments online and pure ignorance on law and on how to treat sensible matters involving cycling in Australia, Cycle has been a voice of reason and clarity. That's why I support them, we need more advocacy like that. The team work tirelessly behind the scenes on riders behalf on a range of issues. They contact media teams who are not moderating their social media pages adequately and allowing dangerous and hateful comments. They give advice and support and advocate for people who have been injured. They have organised third-party insurance that can be taken up by members. They investigate false media reports that are anti-cycling and have even shamed major media outlets into withdrawing false stories. These guys are great. I love to read, comment, laugh and cry with the Cycle page. 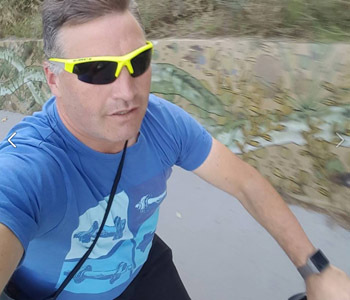 Edward has been working in Not For Profits for a number of years, and after having a bad crash and then getting bad advice he decided it was time to do something new. Edward started Cycle to get the balance of information in the world more equalized. The alliance was formed to ensure all the bicycling advocates in Australia started working together to form a much louder voice. Edward owns 7 bikes, each one has a different job. He enjoys riding them any chance he gets. Commuting, exercise, racing and just for fun, he is happiest in the saddle or with his family. Surrounded by his wife, son and daughter (who all ride), he works to improve conditions for all riders. He also works in IT, that is what pays to keep the doors to Cycle open. Sara Stace has a reputation as a strategic thinker, consensus broker and change agent, with extensive knowledge about cities, land use and urban transport. Sara is the Executive Director of Link Place (www.linkplace.com) which consults with all levels of government on urban policy. Sara is a co-founder and board member of the Australian Cycle Alliance. She is also on the board of Bicycle NSW and founder of Humans on Bikes (www.humansonbikes.org.au). Sara worked for six years in the Australian government for Infrastructure Australia, the Major Cities Unit and Planning Analysis Branch. 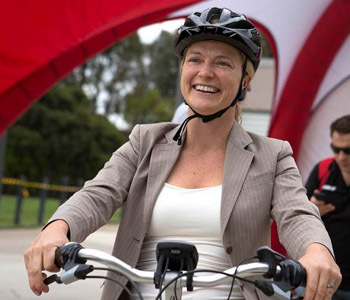 She prepared government policy on national urban issues including active transport (walking, cycling and access to public transport), public health, economic prosperity, community liveability and environmental sustainability. Prior to this she was General Manager of an ASX listed property fund. She is registered Architect with an MBA from Australia’s top business school. In her spare time she is a super mum. 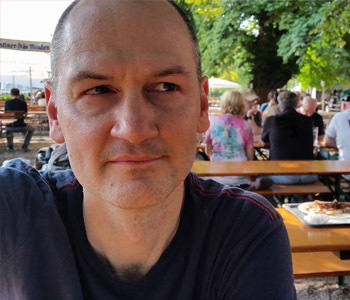 Beck grew up in regional Victoria, but moved to Melbourne upon commencing tertiary education and now lives and loves the vibrant inner suburbs. She has worked in the transport planning industry for the past five years, and is in the process of completing her Master of Urban Planning at the University of Melbourne. Beck has presented at and attended three Velo-City bicycle conferences (Adelaide, Nantes and Taipei), and she enjoys learning new things and networking at these events. She recently sold her car, and now uses her dutch style bicycle as her primary mode of transport. Beck lives by the philosophy of ‘normalising cycling’, which she embodies by riding an upright bicycle in normal clothes. Murray McDonald taught himself to ride as a kid growing up in Weipa in Far North Queensland. He rode everywhere until he got his first car. Sadly, at the time he thought owning a car meant he had achieved "freedom". Murray stopped riding at that point and didn't really get on a bike again until 2010 when he borrowed a bike to try riding to work to save some money. Murray realised the freedom he had lost and took up road riding with a passion. Murray first became aware of Cycle when he was asked to appear on Channel 9 news in Brisbane to promote the Fly6 camera light. Murray sought the advice of Ed in how to appropriately deal with the media when being interviewed about bicycles. The story went pretty well. Since then, from reading Cycle and starting to contribute, Murray has become more and more focused on encouraging and supporting this wonderful and incredibly beneficial activity which sadly, has transitioned from being seen as common and mundane in this country to being regarded as strange and inconvenient for the "normal" motoring public. Murray works towards living in a country where people's choice to use active transport options like cycling is not only encouraged, but supported and celebrated. He would certainly prefer to achieve that in this country. Vicki has been a director of Cycle for nearly three years. Her background is in education, both as a high school English teacher and a teacher of adult literacy and workplace trainer. 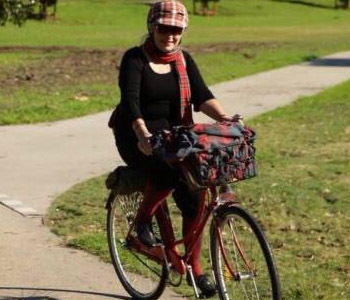 She has been involved in cycling advocacy in her local city of Newcastle NSW for six years. In various roles she has worked with local council, organised vintage bike rides and written blogs and Facebook pages. 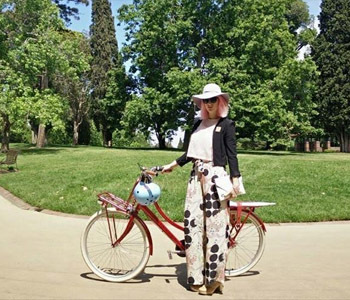 She enjoys riding for transport and leisure, especially on vintage bikes. Is always ready to help! We prepare and deliver submissions to Governments and Stakeholders around Australia. We pass on our ideas and help design new programs from small groups to Federal Government. We organize free events in memorial or just for fun, we also support others events. We publish news from all providers around the world, we also write our own news, all part of strategy. We work with stakeholders, groups and authorities to ensure their programs work for riders. We have a watchful eye on all the most prominent news sources 24/7 to ensure they are on topic. Enjoy our blogs, read and learn. Feel free to share. Announcement - Car Drivers to be only on one side of the car. April 1st 2019.